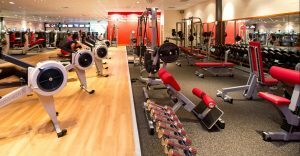 Join a Gym – You will need to start lifting weights and that is best done at a gym that is stocked with enough weight training equipment. Some things can be done at home like pushups, dips and maybe even pull ups if you have a bar but it just isn’t feasible in the long run as you need a variety of machines for full body training. Start small – Don’t be a hero. Don’t compete with the next guy, people are different and you are just a beginner. If you don’t know how to use the equipment ask a staff member they will be happy to help. Start with very light weights and move up slowly as you continue going. 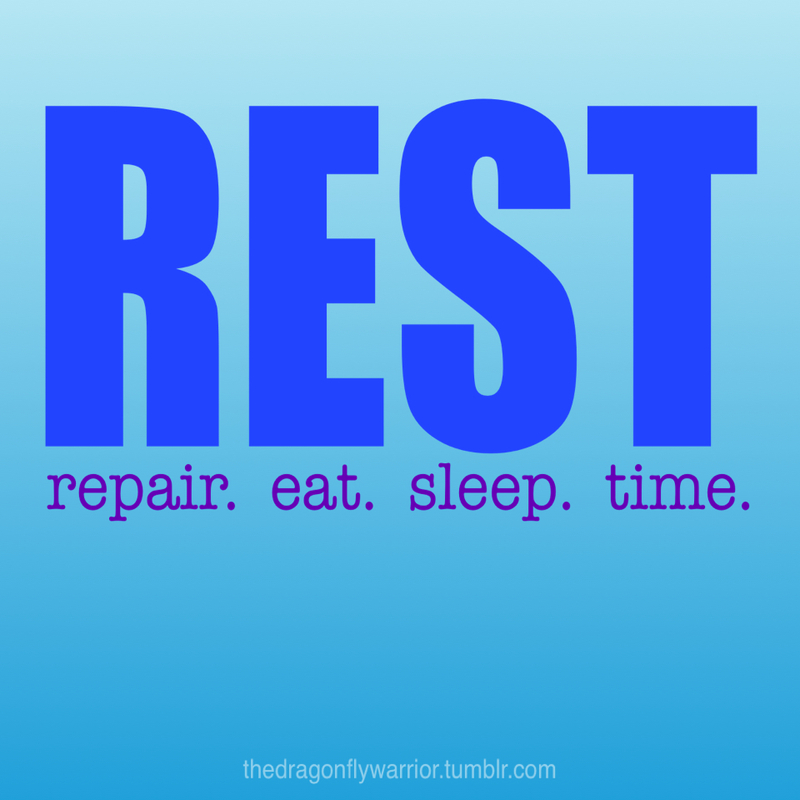 Don’t burn yourself out, the body needs time to adjust from your couch potato lifestyle. You also risk injury. You’ve got to earn the right to be a hero. Rest a lot – Your body needs time to recover, more so if you are not in an active job. The blood needs to move around in the body through exercise to refresh the cells and grow. So break your workout into muscle groups: Arms and chest, back and legs. Only work a single muscle group per session. 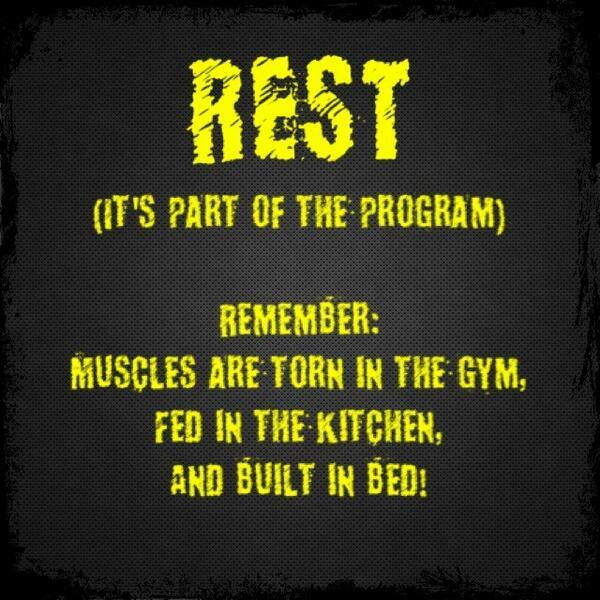 Rest 1 or preferably 2 days between sessions. 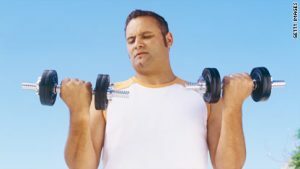 That is do muscle training every 3rd day. You can do running, swimming or yoga on off days to help recovery. Obviously sleep 8 – 10 hours. Eat lots of Protein – You need to be eating lots of protein – the building blocks of muscle. Things like fish (tuna, pilchards), chicken breasts, cheese, yoghurt, peanuts, beans, meat and protein shakes. Use this protein calculator to know how much protein you should have each day. Select body building as the profile. Some other protein calculators often overdo the amount required. Protein is expensive and should not be wasted. It is sometimes hard to get that amount of protein, remember try 4 or 5 meals instead of 3. Also try put extra cheese or mayo on meals.Have a protein shake in the morning or night if you aren’t hitting your target. So that is it. See the Simple beginner muscle building guide. Just keep at it for 3 or 4 months and you will see some amazing gains. Take note that to avoid injury consult your doctor, a fitness instructor and youtube for the correct form when doing squats, deadlifts and other advanced stuff. Stay in your comfort zone with small weights and move up incrementally so there is less strain until you have built your core. This limits the chance of injury, if you damage your back there is no going back, so don’t do it. 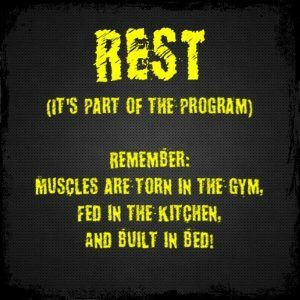 Some boneheads say you don’t need rest, they will be the guys with little to no gainz. Needless to say you must be dedicated and never miss days out of procrastination or laziness. Keep up the effort and keep it simple until you’ve earned it.